This is certainly insignificant an article to mention Leonard Cohen as a singer-songwriter whose masterful work instead demands much more than any arduous task may call for. That said, being Cohen at the top part of "my list" any further delay to mention some of his music stuff would be continuously causing somewhat uneasy feeling in me because I love to share music. Inevitably in here, I have to scratch the surface and let me start lightly with some music stuff of Cohen and hope to gain little courage before I may do more in the future. 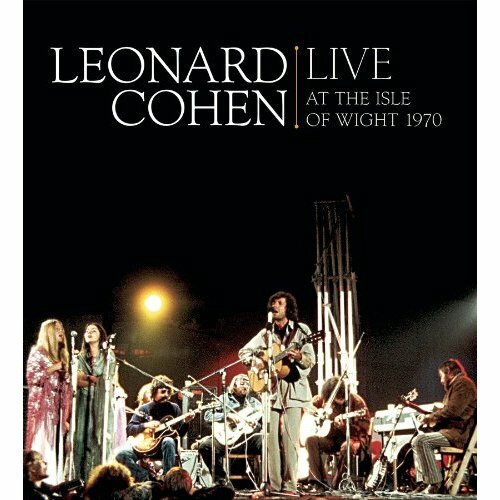 Be gently reminded that this write-up is not an introduction of Leonard Cohen but just brief mention of one live music album titled Leonard Cohen Live at the Isle of Wight 1970. 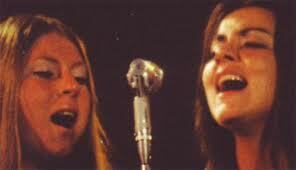 The concert was recorded in 1970 in the forms of music CD and DVD. If you may ask, my best guess of the close-to-40-year delay could be none other than contract/copyright issues surrounding it then. There captured brilliant performing art in the DVD alas no high definition picture quality. The vintage color tone of the concert was bewildering and touching enough to "lead" me back to the era. The little lovely booklet coming with the album tells lots of stories back then. Perhaps these could set the meaningful backdrop to appreciate the music. Amongst others, the booklet tells that there was a crowd of 600,000!!! Or "population" makes more appropriate descriptive noun? Biggest rock concert has ever taken place in the history of mankind? Oh no, the booklet adds on to depict the chaotic scenes caused such as fire, trampled fence etc. Then as claimed, the promoters back then only expected 150,000- 200,000 turnouts but... 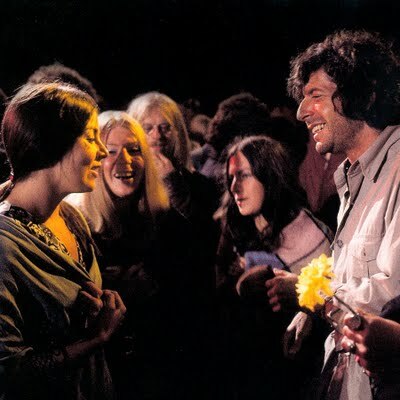 Some organizer staff went to wake Cohen up who was then taking nap in trailer... Leonard Cohen appeared in pajamas covered by khaki safari jacket and jeans, and hey boy, Cohen had domesticated the "population"... Oh yeah, you please read on! The music album contains 19 tracks of which certain tracks have captured Cohen's talking or recitation. Anyone who has never known him earlier could be attracted by his lazy (perhaps lethargic too) deep-throated baritone vocal, even his voice claims intense perception of underlying musicality. After the introductory Track1, Cohen starts with "Like [drag]... a bird..." . Oh boy, I was melted, I could have screamed at the top of my voice if I were at the concert. Essentially in each of my listening session, I was caught as if I have never known him neither have I listened to him before yet I could not stop it. Invariably, Cohen's vocal still appeals very much to me after 20 years of enjoyment with the album titled Songs of Love and Hate. If you may understand what I mean, it is just like any spectacular live music event which induces the audience into the transcendental state of musicality, from Track1 to the end, no one could pull out as it is utmost enjoyable!!! Cohen continues with So Long, Marianne which is more up-tempo. Then more beautiful tracks carry on. Many tracks of the album, if not all, come with the backing vocals of the most hardworking ladies. Most tracks, if not all, kick off with nylon stringed guitar romantically and mysteriously tugging my heartstrings. Check out Suzanne, You Know Who I Am, Sing Another Song, Boys and essentially the whole album! Many songs captured in this live album have stood the test of time, many of them are still much liked especially Famous Blue Raincoat but this interpretation is not one I would recommend at all. Nonetheless I love to recommend the version as captured in Songs of Love and Hate album. I guess up-tempo beats of this song could have shaken off the heavy emotional baggage which is indispensable, sigh... Anyway, this seems to be the only track I do not like. Beware and cautious!!! This live music album contains highly contagious music. There always perceived mixed feelings like poetic, mysterious, deep sorrow, cynic, melancholic and even confused feelings. Cohen’s music stuff could be rather acquired tastes; please handle with care as the doctrine of Caveat Emptor applies. Heart Heart Heart, Heart Hear tHe art!